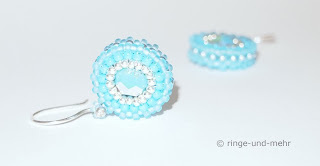 Very beautiful design of the earrings in lovely and optimistic blue. ich finde die Farben traumhaft schön. Vielen Dank an alle, thank you!